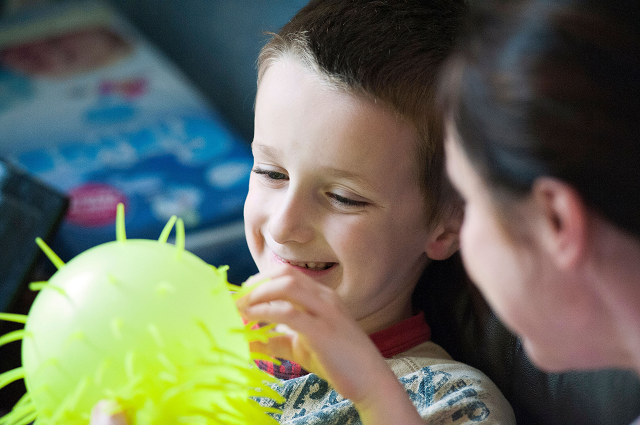 Family Fund is the UK’s largest charity providing grants for families on low incomes raising disabled or seriously ill children and young people. Last year, we provided 89,423 grants or services worth over £36 million to families across the UK. We want to make sure that we are reaching as many families as possible that could be eligible for our support. As an education provider dedicated to special educational needs, we would be very grateful if you could share information about us with parents at your school. We believe that all families raising disabled or seriously ill children and young people should have the same opportunities as others. We aim to support this by providing grants for a wide range of essential items such as washing machines, sensory toys, family breaks, bedding, clothing and computers/tablets. It can be a struggle financially, emotionally and physically for families raising a disabled or seriously ill child, and these grants help break down many of the barriers families face, improving their quality of life and easing the additional daily pressures. Who is eligible for our grants? We use our own disability criteria to determine whether a child is eligible. This means that Disability Living Allowance (DLA) awards are not an indicator that a child would be eligible for a Family Fund grant. Families do not need to wait for a diagnosis for their child to make an application for a grant if they think their child may meet the criteria. Read our disability criteria to find out more.